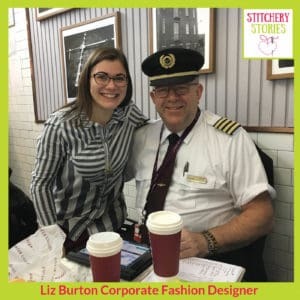 Today on the Stitchery Stories textile art and embroidery podcast, we have a different story and guest for you! 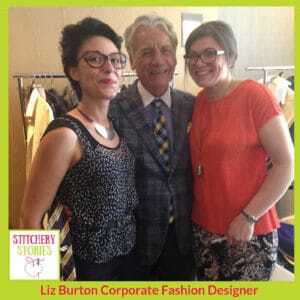 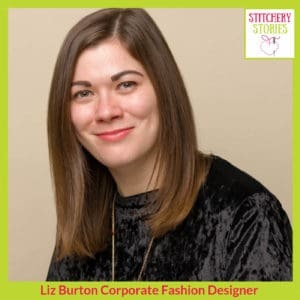 My guest is Liz Burton, a corporate fashion designer, currently employed as Design Manager at Incorporatewear, a specialist corporate fashion and workwear company, based in Birmingham. 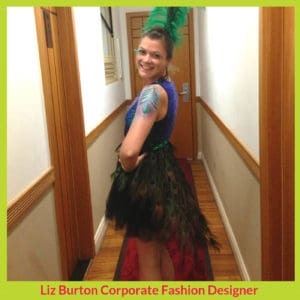 Liz shares her story of fashion design, and we focus on the variety and challenges involved with designing successful corporate fashion. 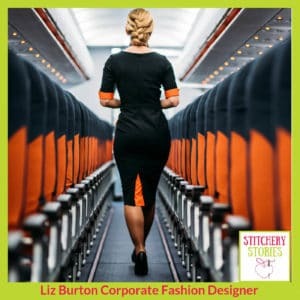 Sue shares her TWO hideous corporate clothing stories, and let’s be clear, there was nothing at all fashionable, or even nice, about the 2 work uniforms she has worn in her life! 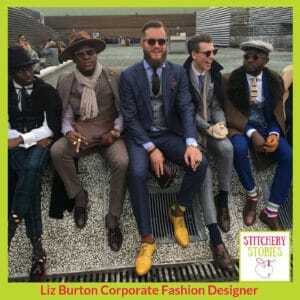 How to keep everyone happy….